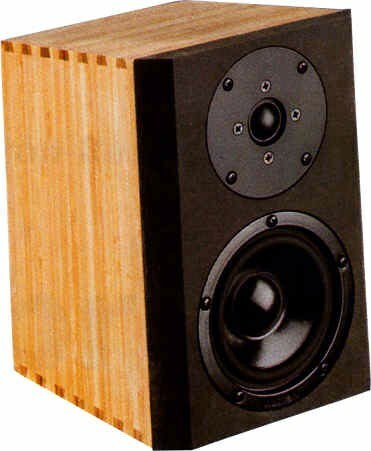 Compact loudspeaker CT 283 (cheap trick 283) is a small 2 way speaker. The kit is delivered with Visaton tweeter and Visaton woofer. CT283 has been developed by Frank Zeppelin. The crossover consists of a 2nd order high-pass filter (12 dB per octave slope) for the tweeter and a 2nd order low-pass filter for the woofer. A parallel RC circuit is smoothing the impedance of the woofer. The frequency response of this speaker is nearly linear. The decay spectrum is nearly perfect. At low volume, i.e. 85 dB at 1 m, the nonlinear distortions are lower than 1% above 300 Hz and rarely exceeds 2% at 95 dB at 1 m .